Mr Haytham Al-Khaffaf did his training in general and vascular surgery in Manchester. He has an interest in clinical research and has made several presentations at national and international societies. He has also published 35 papers. 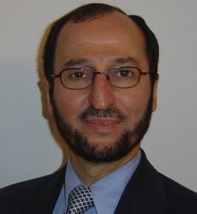 Mr Haytham Al-Khaffaf is interested in teaching and training and is a college tutor on basic surgical skills courses. He is also an examiner for MRCS and overseas MRCS. For bookings please call us on the Diagnostic Healthcare phone line Monday to Friday 9am – 5pm on 0161 929 5679. Out of hours? No problem, fill in our enquiry form and one of our team will get in touch with you.